Elizabeth Taylor shares that the beauty of fragrance is that it speaks to your heart …and hopefully, someone else’s. Scent is deeply personal and evocative. Psychology Today is of the opinion that it could be scent that explains why we feel ‘chemistry, sparks, electricity’ with one person and not with another. There is no doubt that when a woman or a man smells pleasant that they are immediately perceived as being facially more attractive. Other well-known benefits of applying perfumes are; to boost confidence, enhancing sensuality and lets its wearers feel more feminine or masculine. According to sensory psychologist Avery Gilbert; men find fruity scents appealing because they are ‘disarming and attractive’. Explore perfumes with fruity undertones. Vanilla is loved by men. It is versatile and not too sweet; evoking happy memories of their youth. The deep woody ingredient of vetiver; is loved by men and women. It makes a statement, is stabilising and blends well with other ingredients. Lily of the Valley surprisingly can boost stimulation and reduces feelings of apathy. Men there are benefits to eating fruits and veggies over a high carbohydrate diet. According to a 2016 study published in Evolution and Human Behaviourfound that a diet rich in carotenoids resulted in better-smelling sweat. Carotenoids are the compounds in yellow and orange vegetables and fruits that give the food its colour and have also been found to make faces appear more attractive. According to the Times Magazine, scientists claim the smell of coffee is more likely to persuade women to give out their phone number. A great cupid marketing tool for coffee shops. 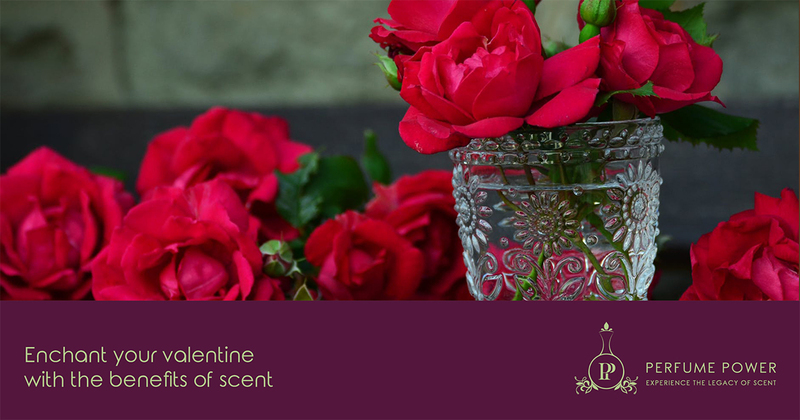 Are you convinced yet that scent can be your tool of seduction this Valentine’s Day?